When in the midst of a cold and dreary winter, watermelon—the fruit of summer—is a bright reminder that warmer days and sunny skies are just around the corner. Many of us grew up eating this delicious fruit on a beach or during a road trip while summer jams played on. Even just one bite of its fresh, red, juicy flesh brings us back to those sweet memories. It doesn't hurt that it's super good for us too. It contains a whole host of health benefits. 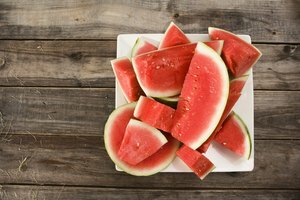 For instance, it keeps you hydrated (the water content in watermelon is a whopping 92 percent), provides essential vitamins to the body, and even improves muscle soreness thanks to its amino acid, citrulline. Watermelon does go bad, though. If you're unsure of what constitutes bad watermelon—especially when you're used to gobbling it up as soon as possible—then you've come to the right place. What is the shelf life of watermelon? Just like any food, watermelon has a shelf life. 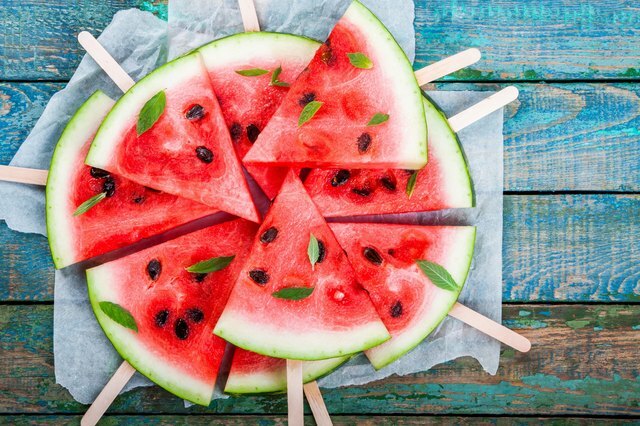 Some good and bad news: You'll want to eat it up relatively quickly, as uncut watermelon can last seven to 10 days if left outside of the fridge and two to three weeks if left in the fridge. If it's already been cut, it can last in the fridge for around three to five days. All of this is a huge difference to the whopping 10 to 12 months that it can last when a cut watermelon is kept in a freezer. For each of these methods, keep in mind that it can also depend on when the watermelon was picked and on proper handling and storage. Examine the outside appearance: Before you even begin the labor-intensive process of cutting open a watermelon, you can check the outside for signs. Check if there are any mold or dark spots and the overall shape of the watermelon. You want the watermelon to be round and symmetrical because an irregular shape could mean it's rotting inside. If you lift it and it feels lighter than normal, that could indicate that it's begun to dry out inside. Lastly, check the underside of the watermelon for a yellow spot. This spot is from where the watermelon rested on the ground and was sun-ripened. Check the inside: Chances are that you've had the unfortunate experience of eating a mushy piece of watermelon. This happens due to air exposure to the insides. 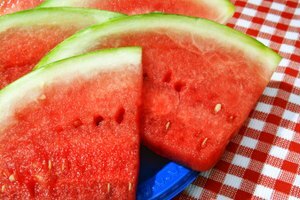 Since watermelon is mainly comprised of water, the air exposure rapidly diminishes the quality. You can tell right away if a watermelon is not good based on the flesh inside. If it's mushy, slimy, or has discoloration, toss it. You can also tap the watermelon shell to check its ripeness. 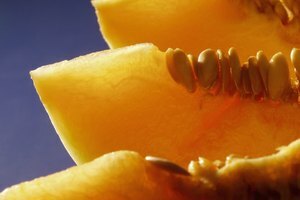 If the sound is hollow, the watermelon is ripe, but if the sound is dull, it's likely mushy and rotten inside. The taste is sour: Watermelon has a fresh, juicy, sweet taste, so when it turns sour, it's pretty easy to tell the difference between good and bad. Smell matters too. If it smells foul or even has a vinegar-like smell, it's gone bad. 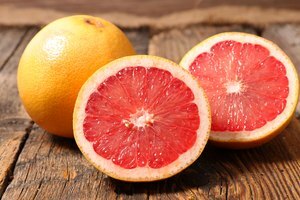 This means the sugar inside the fruit has turned sour, similar to what happens when sugary wines like rosé have gone bad. Why does my watermelon smell like pumpkin? When you think about it, watermelon and pumpkin could not be any more different. For instance, watermelon is the epitome of all things summer, while pumpkin embodies all things fall. Pumpkin-spice latte, anyone? Tastewise, both pumpkin and watermelon are very different. Pumpkin can be described with "cloves," "all-spice," "nutmeg," or maybe even the classic "pumpkin-spice latte." On the other hand, watermelon falls under the sweet and sugary category. Believe it or not, they have a lot more in common, leading some people to notice that their watermelon smells like pumpkin. If this happens to you, take comfort in the fact that you're not crazy. 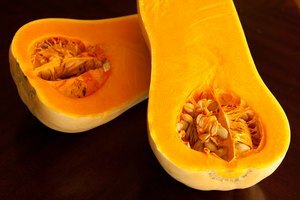 It's likely because both pumpkin and watermelon are part of the same family—the Cucurbitaceae plant family, to be exact, which also includes squash and gourds. Overall, the best way to ensure watermelon doesn't go bad is to eat it up quick and handle it with proper storage. In the meantime, we'll keep hoping for a summer that comes by quicker. Eat By Date: How Long Does Watermelon Last? Wonderopolis: How Much Water Is In a Watermelon?